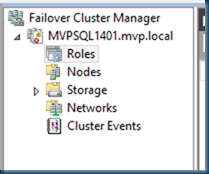 New-Cluster -Name MVPSQL1401 -Node mvpsql141,mvpsql142 -NoStorage -StaticAddress "10.255.255.71"
Add-ClusterSharedVolume -Cluster MVPSQL1401 -Name "Cluster Disk 1"
but after open the IP resource you can’t select a network ! 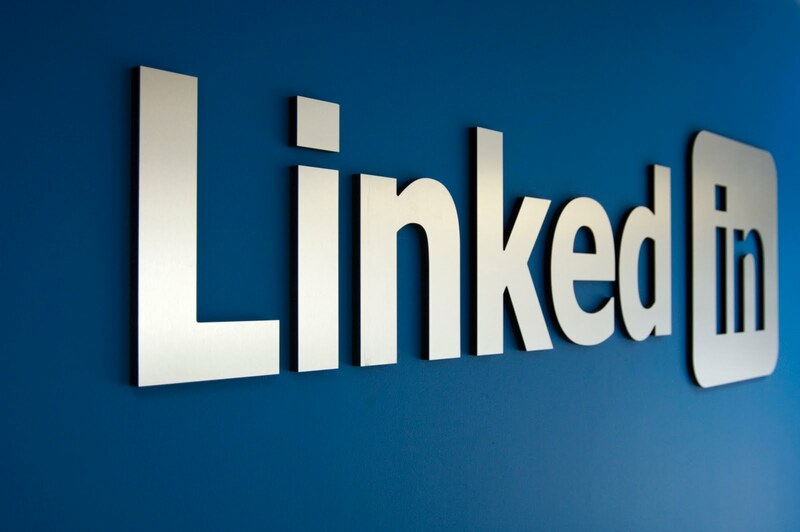 but all networks are up ! 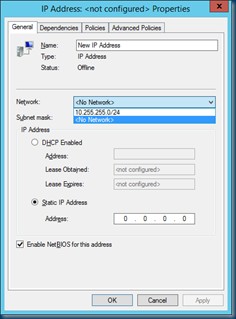 Health check for IP interface ‘Cluster IP Address’ (address ‘10.255.255.71’) failed (status is ‘1168’). 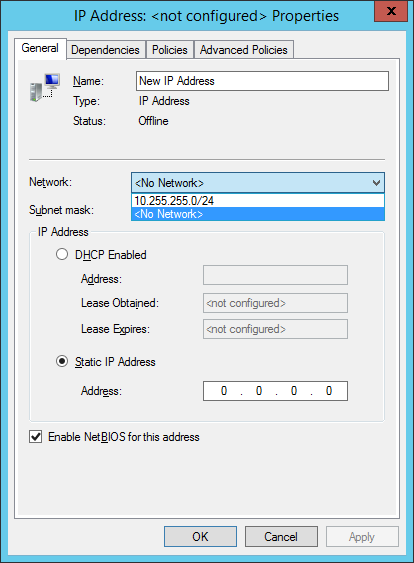 Run the Validate a Configuration wizard to ensure that the network adapter is functioning properly. 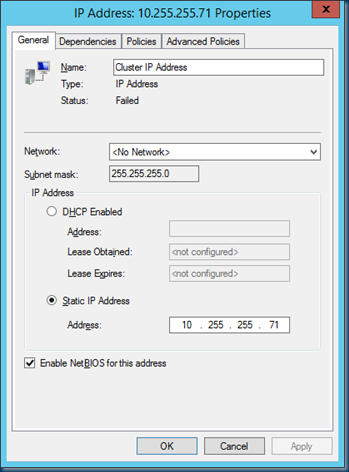 Cluster IP address resource ‘Cluster IP Address’ cannot be brought online because the cluster network ‘Cluster Network 1′ is not configured to allow client access. 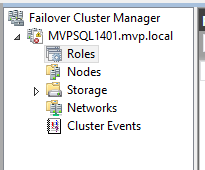 Please use the Failover Cluster Manager snap-in to check the configured properties of the cluster network. 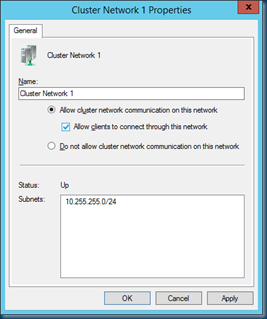 Cluster networks are automatically created for all logical subnets connected to all nodes in the Cluster. Each network adapter card connected to a common subnet will be listed in Failover Cluster Manager. 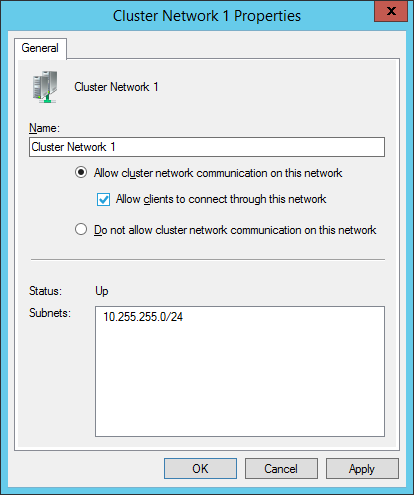 Cluster networks can be configured for different uses.